Things made from wood look from the bygone age and are perfect when you want to add an old world charm to a place. 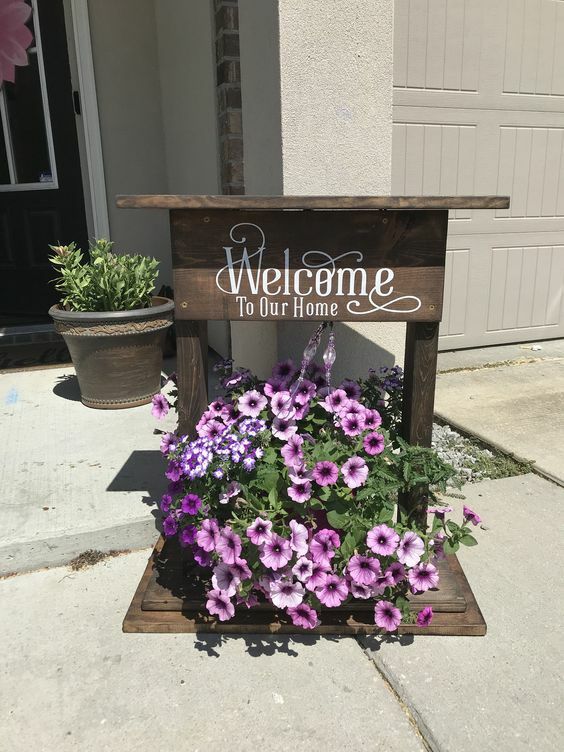 Similarly, these beautiful wooden pallet welcome boards are perfect to keep at the entrance of your home, and needless to say that they will impress everyone with their charm and beauty. 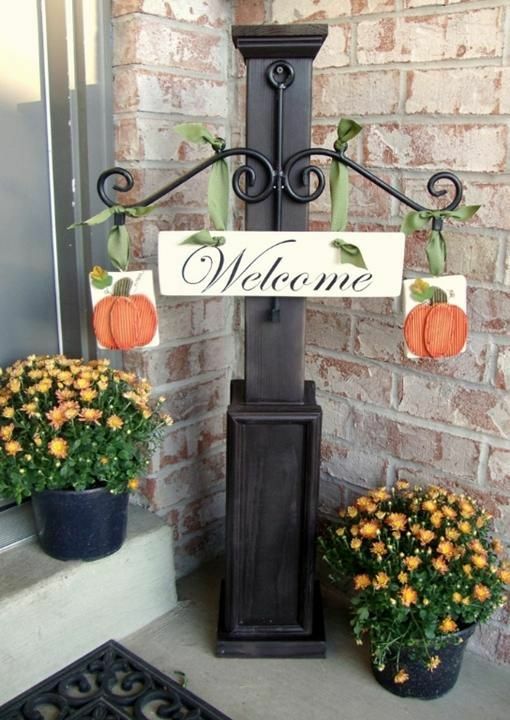 Just add a bunch of flowers to this and it will be the sweetest welcome note for anyone who visits you. – This simple framed wooden bar style is the easiest one to do. Just insert a slate or a writing board at the top to pen down your thoughts for the day, or just simply say Hi!!! or WELCOME to the guests. 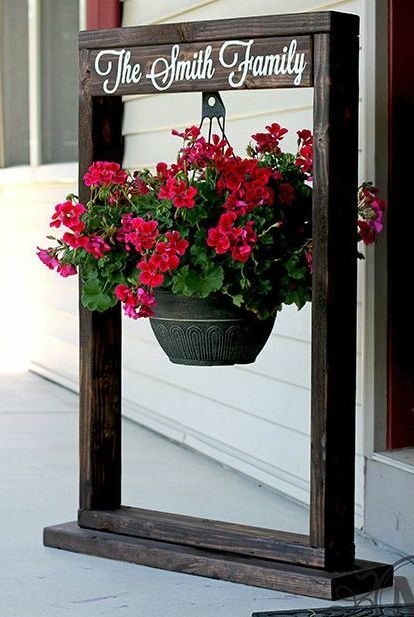 A loop hook at the center of the pallet will help you to hang your favorite boutique of flowers there. 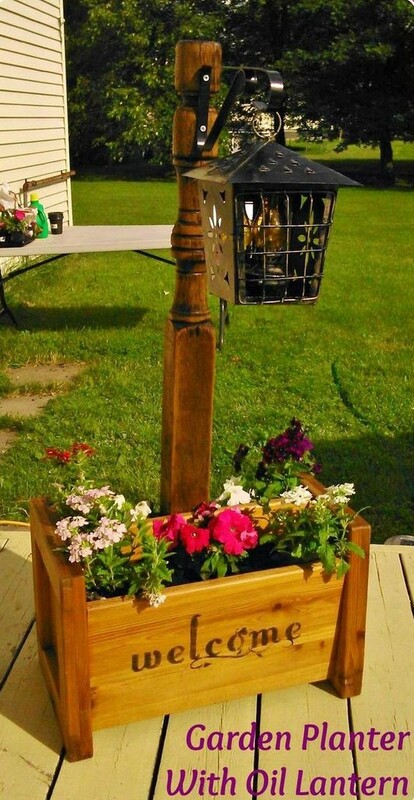 – This box style design is perfect to hide your old flowering pots which are in a bad shape but has a healthy plant in it. 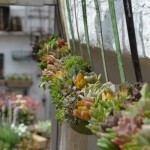 You can also mix and match different colors and flower styles here and there’s nothing like welcoming your guests with pretty flowers and plants kept at the entrance. You yourself will feel overwhelmed whenever you will enter your home. 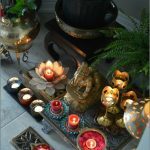 – You can also have one with an oil lantern which will look beautiful when lit at night. If you are someone who loves recycling things, then you can make out how you can use your old drawers and bed pillars to make this piece. 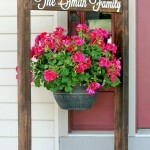 – You can also get your family name done on the pallet which looks quite impressive. 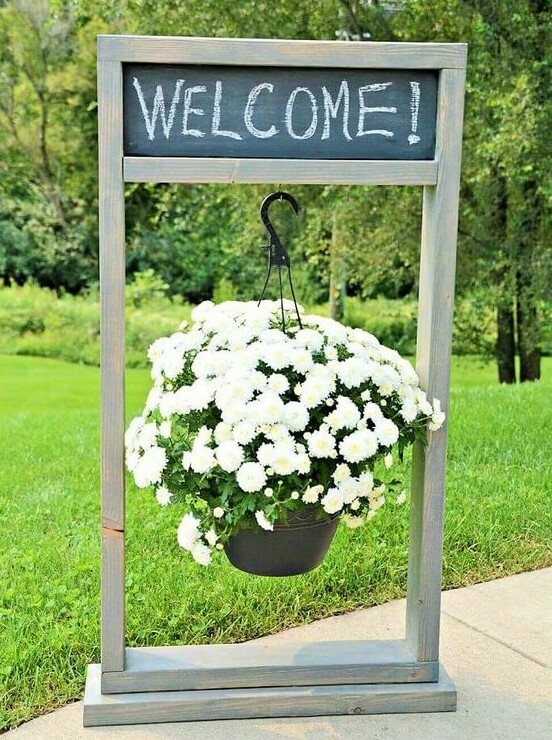 – And if your welcome board does not has any provision to keep fresh flowers then don’t worry as you can always keep few floral pots next to it. 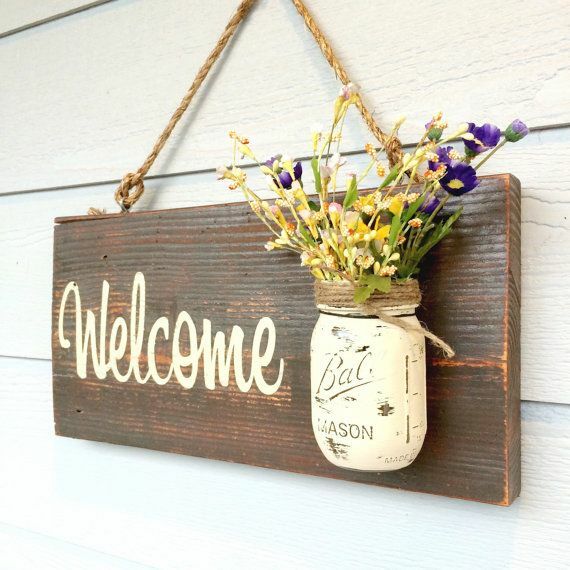 – In case if you don’t have space to keep big welcome boards, then a single wooden pallet hanging on the front door will also look perfect.